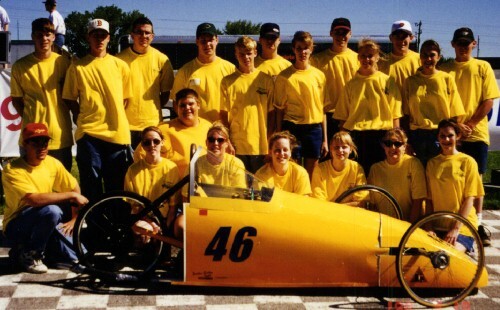 The Pomeroy-Palmer Electrathon team and K.I.T. at Hawkeye Downs, Cedar Rapids, Iowa. To see more about this, click here.